Area: Effect that covers an area. Dark: A Dark magic spell. Harmful: Causes damage or illness. Healing: Cures injury or illness. Light: Glowing or light effect. Revealing: Reveals what is hidden. In the title bar of each spell entry below is the name of the spell, followed by its incantation and pronunciation. If a spell has a Brownie cost, it will appear on the far right. Many spells will also have a icon on the far right side of the title bar. 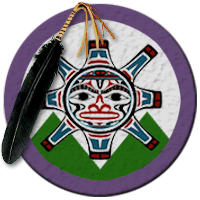 This icon is a link to the Harry Potter Wiki entry on the spell. Immediately below the title bar are keywords — OOC categories that spells fit into. These keywords may be used for such things as determining the types of spells a given counter-spell will counter. If a spell has no keywords, this section will not appear. Training Requirement refers to the level of schooling, professional training, or private study necessary to learn the spell in the first place. If there are multiple paths to learning, they will be separated by a "/". Art refers to the Art rolled when casting the spell, as well as the minimum Art level required to use it. Action is the type of action used to cast the spell. In most cases, this will be an Instant action. Some more complicated spells require an Extended action, meaning they require additional successes to cast. See the spell's description for details on what is required for such a spell. Some spells are Contested actions, and will include details on how the target can resist. None: Effects occur instantaneously, with no lasting effect. Incremental: Effects last for one increment of time per success. The increment will be listed in parentheses. For example, a duration measured in turns would read Incremental (Turn). Incremental spells might last for a matter of turns, minutes, hours, even days. In some cases, an increment may be multiple units of time. For example: Incremental (2 minutes). This spell would last for 2 minutes per success, meaning that with three successes, the spell would last 6 minutes. Concentration: Effects continue as long as the caster maintains eye contact with the target and does nothing but try to maintain it. Permanent: Effects will persist indefinitely until countered. Finally, there is a brief description of the spell's effects, including damage and duration. Some spells specify that they can only be using on a living or non-living target. But what about the undead? That depends upon whether they are merely animated shells, such as Inferi, or the Living Dead, such as vampires and zombies. Inferi may be animated, but they are not alive, and are therefore considered non-living targets. The Living Dead aren't strictly alive either, but they possess enough semblance of life energy that they are considered alive for the purposes of determining whether or not they are targetable by certain spells. Note that ghosts are not undead creatures. They are spirits, and their intangibility makes them immune to most spells anyhow. Some spells will refer to a target's size. Size in Witchcraft & Wizardry is measured in size ranks: Tiny, Small, Medium, Large, Huge, and Massive. Refer to the Size Rank table for an idea of what creatures and objects fit into each size rank. Encircles an object with a magical line that is repels all efforts to bypass it by people under a given age. This includes any mundane means used by ineligible people to pass or reach beyond the line, as well as spells, which will typically backfire on the underage caster. Dramatic Failure: The spell backfires and causes the caster to age a decade. Failure: The spell fizzles and pops, doing nothing. Success: Those wishing to trick the line +roll Presence + Glamers -2. They must still get a Great Success to trick the line. Exceptional Success: Those wishing to trick the line +roll Presence + Glamers -4. They must still get a Great Success to trick the line. Special: Please copy and paste the three lines of code below in game in the room where you cast the Age Line. Replace the sections in bold with the appropriate information. Increases the volume of a sound. This is the counter-spell for the Quieting Charm. Dramatic Failure: The sound is completely lost, muted for a half a day. Voice or otherwise. Failure: There is a brief loss of sound for ten minutes. Success: Each success offers 10 minutes duration. Exceptional Success: Each success offers 10 minutes duration and +1 to Charisma. Enchants up to a dozen writing quills at a time, making it impossible for them to write cheats. This spell is specifically taught to those in the Wizarding Examinations Authority, and is frequently known by magical educators. All exams — even pop quizzes — are taken with these quills. Generally expected to be used "off-camera", with no roll required under normal circumstances. Anyone who knows this spell can be assumed to have an ample supply of anti-cheating quills if they so desire. Dramatic Failure: The spell backfires and you can not tell a lie for two hours. Failure: The spell fizzles and nothing is enchanted. Success: A total of a dozen small items are enchanted. Exceptional Success: A total of eighteen small items are enchanted. Allows a living creature to breathe that is otherwise being prevented from doing so, such as if one is choking. If the asphyxiation is caused by a magical effect, the caster must overcome it (usually by achieving the same success level as the caster of the harmful spell). Can be used as a counter-spell if the choking is caused by magic. Dramatic Failure: The spell turns about and reflects, +roll Defense to see what damage is taken. Failure: The spell does not work on the intended target. Success: The spell allows the person to breathe. Exceptional Success: The spell allows the person to breath and heals a point of damage. Dramatic Failure: The spell backfires. +Roll Defense to see what damage is taken. Failure: The spell fizzles and does nothing. Success: The area is warded for up to a year's time. Exceptional Success: The area is warded for up two years. Makes locks resistant to spells with the Opening keyword. It must be cast individually for each type of Opening spell, and the caster must know how to cast the Opening spell to be charmed against. Dramatic Failure: The spell backfires. +Roll Defense to see damage taken. Success: The object is enchanted for up to 3 months. Exceptional Success: The object is enchanted for up to 6 months. Causes antlers to grow out of the head of the target of the jinx. Dramatic Failure: The spell backfires and the caster grows the amount of antlers equal to the amount failed. Success: Each success creates one antler. Exceptional Success: Each success creates one antler and -2 to Charisma. Fires one or more arrows out of the tip of the wand. Can be used as an attack. Success: Each success provides for one arrow each. They cause one damage each. Exceptional Success: Each success provides for one arrow each. They cause one damage each and an added 1 damage. Lifts the caster high into the air, or propels the caster to the surface if underwater. Dramatic Failure: The spell fails. +Roll Defense for damage. Success: Each success offers a meter in height. Exceptional Success: Each success offers a meter in height and 1 extra meter. Alters the atmospheric conditions in a immediate area. Generally used indoors as a form of climate control, similar to air conditioning. Once cast, the effects of the charm will continue until the spell is countered or its duration expires. Dramatic Failure: The spell backfires. +Roll Defense for damage. Failure: The spell fizzles with a minor shock. Success: Mild atmospheric alteration (e.g. adjust the temperature a few degrees, slightly more or less humidity, light breeze). Effects last for up to a month. Exceptional Success: Heavy atmospheric alteration (e.g. unbearable heat, biting cold, wind, frost, light rain). Effects last for up to a day. Causes target to babble incoherently whenever they try to speak. Any attempt to cast magic with a vocal incantation while under the effect of this curse will result in a magical backlash, as if an Embarrassing Failure had been rolled. Dramatic Failure: The spell fails and the caster can not speak coherently for an hour per failure. Failure: The spell fizzles and fails. Success: Lasts for a day, or until countered with a Good Success or better. Exceptional Success: Permanent, or until countered with a Great Success or better. Sends a target (mostly) harmlessly away from the caster. The target is said to have been Banished. Can be used as a counter-spell to the Summoning Charm, sending a Summoned object back to its original location. While normal Banishment is limited by the size and weight of the target object, any Summoned object can be Banished with any success level, so long as the caster overcomes the success level of the summoner. Generally, only targets that could be physically moved by a single human adult can be Banished. Success: Banishes a small to medium target by 500 ft x successes. Exceptional Success: Banishes a large to huge target by 500 ft x successes. Transfigures a human victim's bogeys into a flurry of bats which fly out of the nose, which makes it difficult to speak and can be terribly distracting. This spell was invented by Miranda Goshawk. Use of the hex on a non-human target can have radically unpredictable results, and can even be fatal to small animals. Dramatic Failure: The spell fails and backfires! Caster suffers -1 to all rolls for rounds equal to the failures and can not speak for the same amount of rounds. Failure: The spell fails and fizzles. Duration: Varies with success level. Causes the victim to fall into an enchanted slumber. Dramatic Failure: The spell fails! The caster is put into an enchanted slumber for 24 hours. Cannot be interrupted unless specific conditions set by caster are met. Failure: The spell fizzles and the caster is knocked out for an hour. Success: Lasts for one hour. Can be interrupted by shaking or a loud noise. Exceptional Success: Lasts for 24 hours. Cannot be interrupted unless specific conditions set by the caster are met. Conjures a flock of birds. The birds are shot from the caster's wand tip, accompanied by smoke and a loud blast that sounds like a gun being fired. Dramatic Failure: The spell fails! +Roll Defense to see what damage is taken. Success: The target suffers disorientation for a round and can not act. Exceptional Success: The target suffers disorientation for two rounds and can not act. Transforms a unintelligent target of Small or smaller size into a bird, or a collection of similar targets into a flock of birds. Dramatic Failure: The spell fails! The caster sprouts feathers along a portion of their body that lasts a day. Success: Effects last for one scene, or two rounds if in combat. Exceptional Success: Effects are permanent until untransfigured. This devastating and dangerous curse causes an object to explode in a fiery blast. It cannot be used to target a living being, but can cause explosions nearby. Note that the size of the explosion assumes common construction materials for most objects of that type. Tougher materials will mean less actual damage done. Dramatic Failure: The spell fails! +Roll Defense to see what damage is taken from an explosion. Success: Explodes a target (or part of a target) up to the size of an automobile. Exceptional Success: Explodes a target (or part of a target) up to the size of a sports pitch. The target is stunned and can not respond the same round. This spell allows the caster to affect the flow of blood in minor ways. It can cause blood to flow in unnatural directions, even climbing vertical surfaces. It can be used to cause minor hemorrhaging of blood vessels, giving a target a nosebleed, bruising, or even causing them to cough up blood. Alternatively, it can be used to staunch minor bleeding, making it possibly the only Dark spell that is useful for healing. Dried blood cannot be affected by this spell. Dramatic Failure: The caster begins to bleed from every orifice. It isn't lethal, but will leave the caster weak, and it looks horrifying. Failure: The spell fizzles and nothing happens. Success: You can cause hemorrhaging or staunch bleeding for two rounds. Exceptional Success: You can cause hemorrhaging or staunch bleeding for five rounds. This spell conjures bright blue and waterproof flames. The magical fire can be scooped up harmlessly by the caster, and even carried about in a jar, but it still emits heat and can burn, but it will not spread. Dramatic Failure: The spell fails! +Roll Defense to determine damage. Success: Conjures magical fire equal to a lantern flame. Exceptional Success: Conjures magical flame equal to a campfire. Is able to be split. A healing spell used to mend bones. "Emendo" is only the second half of the incantation. The Healer must know the first half appropriate the part of the body where the bone is to be healed. Dramatic Failure: The spell fails! The bone disappears all together. Success: The break in the bone heals within an hour and does healing equal to the successes. Exceptional Success: The break in the bone heals immediately and does healing equal to the successes. Creates bubble of air around the target's head, allowing them to breathe normally and safely when the environment would not otherwise allow it (e.g. being underwater). Dramatic Failure: The spell fails! The bubble is cast elsewhere! Failure: The spell fizzles and fails! Success: The spell creates the bubble to last an entire scene. Several dozen non-bursting golden bubbles spew out of the wand, and can be directed into pleasing arrangements, such as Christmas tree ornaments. They require a great deal more pressure than normal bubbles to pop. Dramatic Failure: The spell fails! Golden goop flows down from the wand in a sticky mess. Failure: The spell fizzles and fails with loud pops. Success: The spell produces bubbles x3 the successes that last a month. Exceptional Success: The spell produces bubbles x5 the successes that last two months. Creates a small but powerful impact, like a cannonball strike. Dramatic Failure: The spell fails! +Roll Defense to see what damage you take. Failure: The spell fizzles and fails with a tiny little baby explosion. Success: Spell covers area up to the size of room in a house. Exceptional Success: Spell covers area up to the size of a manor or castle. Sets off a high-pitched shriek if target area is entered. Dramatic Failure: The spell fails! The caster is deaf for hours equal to the number of fails. Anyone near them is also deaf. Failure: The spell fails and fizzles making a little tweet sound. Success: The spell succeeds and lasts the full day as intended. Exceptional Success: The spell succeeds and lasts two days. A spell that induces happiness in a person. The incantation must be spoken with pep and joy. One cannot successfully cast a Cheering Charm if one is sad (meaning that a sad person cannot use this spell on himself to cheer himself up). A very specific charm for opening hinged containers, such as chests, trunks, and boxes. Cleans off a target by wiping away or siphoning off dust, grime, blood, etc. Causes a target (or a specified part of a target) to change to a desired colour. Causes confusion in a creature (or a sentient object). Someone affected by this spell is said to be "confunded." This spell has no light or sound effect. A curse that causes an inflammation of the eye, causing them to swell shut. The Advanced Conjuration Spell can be used to conjure a target of any size. Only solid physical things can be conjured — conjuring liquids, gases, or energy requires specific spells suited to those tasks. The following roll modifiers apply. All modifiers are cumulative. -2 if the thing being conjured has separate, moving parts. -2 if the thing being conjured is alive. -2 if the thing being conjured is Huge. -4 if the thing being conjured is Massive. The prefix for this spell's incantation can vary greatly, depending upon what is being conjured. Usually it will be some derivative of the Latin name for the thing. For example, if conjuring a horse, one might incant "Equocreo". The Simple Conjuration Spell can be used to conjure a Small (or smaller) unintelligent target. Living things cannot be conjured with this spell. Only solid physical things can be conjured — conjuring liquids, gases, or energy requires specific spells suited to those tasks. The following roll modifiers apply. The prefix for this spell's incantation can vary greatly, depending upon what is being conjured. Usually it will be some derivative of the Latin name for the thing. For example, if conjuring a cup, one might incant "Calixicreo". The Standard Conjuration Spell can be used to conjure a Medium (or smaller) target. Only solid physical things can be conjured — conjuring liquids, gases, or energy requires specific spells suited to those tasks. The prefix for this spell's incantation can vary greatly, depending upon what is being conjured. Usually it will be some derivative of the Latin name for the thing. For example, if conjuring a chair, one might incant "Sellacreo". The Cruciatus Curse, also known as the Torture Curse, causes the victim unimaginable pain. It doesn't actually injure the victim, and leaves no physical marks behind. But it has been known to drive it's victims to madness. A victim of the Cruciatus Curse is essentially helpless as long as the caster maintains the spell. The victim will writhe in agony, most likely screaming if their voice doesn't choke up. This curse cannot be countered or deflected. It will pass right through Shield Charms. It can be evaded, or the casting can be interrupted, but once cast, there is no defense against it. This is one of the three Unforgivable Curses, and is subject to the rules governing those spells. Gives an person a particularly nasty cold, complete with an extremely runny nose. If untreated, the illness can get worse, even causing the victim to collapse. Creates an invisible cushion on an object or area. Forces the target creature or object to dance wildly. Causes a charge of electricity to run through the body of a target, shocking anyone touching that target and leaving them mildly burned. The electricity has no negative effect on the target. This effect has been known to occur reflexively by a wizard being physically menaced, as a form of uncontrolled magic. Reverses the fermentation process, turning vinegar back to wine, wine back to grape juice, mead back to honey, and so on. Though this spell may seem like transfiguration, in the strictest sense it is not, as it is merely affecting the natural process of the target, not actually transforming it from one substance to another. Considered the most basic form of hex deflection, this charm is commonly used in magical duels. Erases magical images, such as those produced by Priori Incantatum. Creates a powerful downward force on the ground in an area, strong enough to cave in the floor of a house. The caster must target a specific point on the ground. Causes a target to descend or lower itself. This can be used as a counter-spell to Movement spells that lift a target into the air. Disarms the victim of whatever is being held at the time. 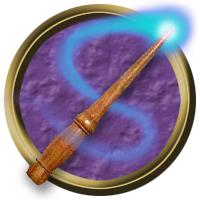 This spell can affect an opponent's wand. More powerful castings can have additional effects. This spell appears as a jet of red light. Enchants all dirty dishes stacked by a sink will wash themselves, provided soap and water are available. Causes a target creature to blend in with surroundings, disguising its presence. Though not impossible to see, even when detected, the target will look like a distortion of the environment. This spell causes an object to be duplicated perfectly when touched. Though this is a true charm, not a conjuration, these copies will break down and fade away as per the laws of conjuration. An odd characteristic of the spell, for which a solution was never found, was that only the original caster could stop the doubling effect. If, for some reason, the caster was interrupted, the object would continue multiplying, stopping only when the copies began to break down. For this reason, it is sometimes called the Gemino Curse. A spell that evaporates water. This spell dries off a person and his or her clothing with a small warm whirlwind. Unfortunately, it has a way of ruffling up said clothing and hair. This charm is used to unbind, unlock, or otherwise remove obstacles to freedom. It is broad in application, but difficult to pull off, and will only work if the targeted bindings/locks/etc. are presently confining someone. Causes a target to grow in size. Sometimes called the Enlargement Charm or the Growth Charm. The counter-spell is the Shrinking Charm. A disgusting and powerful curse that causes ones intestines to burst forth from the body. A spell that entrances the mind to make the caster seem more alluring and charismatic. Erects a simple structure (e.g. a tent, a simple shelter, a very basic one-room building), provided that the materials are present. The structure is sound and will last until some other force dismantles it. When all diplomatic efforts fail to relocate a problematic spirit, this spell can be used to exorcise it, banishing the spirit from the area. The area might be a single building, or an entire graveyard. This is usually used on ghosts, as they are most susceptible to it. Other spirits are highly resistant (and likely to attack if wizards attempt to use it). Poltergeists are completely immune to this spell. The spell requires the area to be warded to have salt sprinkled all around its perimeter (making it highly difficult and impractical to exorcise very large areas). It will attempt to banish all spirits in the affected area, unless a specific spirit is bound first (e.g. with a Spirit Rope). The spell suffers a -1 modifier for each additional spirit the spell tries to exorcise. If successful, affected spirit may then roll Presence + Body (-2 if bound) to resist the effects for a round. If a spirit successfully resists for five consecutive rounds, the spirit is not exorcised, and may remain in the area. This destructive curse causes explosion of raw force, sending anything nearby flying away from its epicenter. The explosion occurs in empty space; it does not detonate an object. Puts out fires. Can be used as a counter-spell against most spells with the Fire keyword (not including the Fiendfyre Curse), but at a Difficulty of -2. Makes an object more lightweight. Conjures fire. This is one of the most commonplace and useful spells in the wizarding world. Conjures a fiery rope which can be used to ensnare a target. The magical flames from this spell do not spread. Once bound, the ropes cannot be physically escaped from; they can only be dispelled by a counter-spell or by extinguishing the flame. A curse that causes objects to emit searing heat when touched, burning flesh and other materials as well. An Impervius Charm against heat offers some degree of shielding. There is no outward sign of this curse's use until the object is touched. A spell that makes fire harmless. Instead of burning, it feels like a warm summer breeze. Causes paints, inks, and other pigments to flash different colors. Conjures a bouquet of flowers from the tip of the caster's wand. At the caster's discretion, the flowers can be conjured as a wreath or other arrangement. This spell is used to clear the caster's mind and sharpen cognitive ability. It is against Hogwarts school rules to use this spell during exams. A ward that repels enemies from the target, which may be an item or building. This charm can also be cast on magical constructs, such as the protective shields created by an Area Shield Charm or Greater Shield Charm. Any who have ill-will toward a selected individual or group must roll Presence + Mind to come within one hundred feet of the target. Summons a fountain of wine from the tip of the caster's wand. Note that, in accordance with Gamp's Law of Elemental Transfiguration, this is not true conjuration, as food cannot be conjured from nothing. This spell relies upon the caster knowing of a source of wine from which to draw. A simple spell, performed with the wand laying flat on the open palm of the caster. When the words are spoken, the caster's wand rotates to point north. This spell immobilizes creatures or objects within a given area, preventing them from moving under their own power. Generally used on living things, it is also useful against objects with automatic functions. At least half of a creature or object must be within the target area to be affected by the spell. Any creature affected by this spell may make a free Body + Presence roll (this does not require an action) on their own turn each round to shake off its effects. This tricky spell paralyzes the target, causing the victim's arms and legs to snap to together, the entire body going rigid. Even the jaw snaps shut, preventing speech. The victim can still hear, see (straight ahead), and feel. Also called the Body Freezing Spell. Causes a target to grow a coat of fur all over its body. When cast on furry creatures, their coats grow longer and thicker. This is a general counter-spell that will end all magical effects within an area, be they beneficial or harmful spells. It cannot be used to counter spells as they are being cast. This spell has no effect on spells that have a specific counter-spell named in their description. Notably, it is also useless for dealing with botched Transformation spells (this being the purview of the Transformation Repair Spell), and Weather spells (covered by the Weather Magic Counter-Spell). Success: All magical effects within a radius of up to ten feet are ended. Exceptional Success: All magical effects within a radius of up to ten feet + another ten feet per success is ended. This is a general counter-spell that will end magical effects currently affecting one target. It cannot be used to counter a spell as it is being cast. This spell has no effect on spells that have a specific counter-spell named in their description. Notably, it is also useless for dealing with botched Transformation spells (this being the purview of the Transformation Repair Spell), and Weather spells (covered by the Weather Magic Counter-Spell). Success: Up to two magical effects on the target are ended. Exceptional Success: All magical effects on the target are ended. Used to gouge out portions of earth or stone. It has practical applications, both in digging and in making passageways through solid rock. Dramatic Failure: The spell fails! Someone or an object in the vicinity is hit. If a person +roll Defense to see damage taken. Success: Digs out enough earth to fill a large tub, or enough stone to fill a wheelbarrow. Exceptional Success: Digs out enough earth to fill a large swimming pool, or enough stone to fill the back of a truck. Also called Everlasting Fire, this highly advanced spell bewitches an object, such as a torch, to burn forever once it is lit on fire, even underwater. No known spell can extinguish Gubraithian Fire, though new fires lit from it are normal flames and can be put out easily. Dramatic Failure: The spell backfires! And object not intended to be set aflame catches fire! Changes the colour and style of the target's hair, including facial hair. Length cannot be altered with this spell. The effects will wear off over time according to successes and can be altered again with the same spell. Dramatic Failure: The spell backfires! Choose one of the failures: Facial Hair Growth, Unflattering Hair Color, or Big Hair! Changes an object to solid stone. This spell cannot be cast on living targets. Dramatic Failure: The spell backfires! Choose another item at random to receive the effects of the spell. Returns a transfigured person back to their human form, making further transfiguration impossible for the duration of the spell. Can be used as a counter-spell to unwanted transfigurations. Though this spell will force an Animagus or Metamorphmagus to resume natural human form, it has no effect on a werewolf changed into wolf form. Dramatic Failure: The spell backfires! You are unable to transform for a day. Both by spell or born ability. Success: The transfigured target is returned to human form for ten minutes per success. Exceptional Success: The transfigured target is returned to human form for ah hour per success. Causes a target to hover in mid-air. A hovering objects cannot be controlled with this spell, and is subject to drift about if pushed or knocked by outsides forces, such as a breeze. Dramatic Failure: The spell backfires! The caster is hovered a few feet off the ground for a second per failure. Success: Hovers an object up to 20 pounds in weight a minute per success. Exceptional Success: Hovers an object up to 100 pounds in weight a minute per success. Reveals the presence of humans (but not other Beings) within fifty feet. The spell indicates the location of all humans in the area of effect by a magical marker of some kind, visible only to the caster. Those affected by the spell can feel its effects, as a sensation of something "swooping" low over him or her. Dramatic Failure: The spell backfires! The caster is blinded for minutes equal to the failures. Exceptional Success: The spell is powerful enough to detect through legendary magical items. This spell conjures ice. It can freeze targets, put out fires, or even create structures out of ice. Bewitches text to make it unreadable. Impedes forward motion, slowing or stopping an object or individual. This can effectively immobilize the target for a short time. Powerful castings can even knock a target off their feet. An Imperius Curse places the victim in a trance-like state, in which they aim to please their new "master." They know they've been cursed, but will not reveal it while under the effects of the curse. A side-effect of the Imperius Curse is that it overrides other spells with the Mind keyword, preventing one so cursed from being otherwise influenced. Thus, a Dark wizard that wishes to erase a victim's memory of being placed under the Imperius Curse must actually release them from the curse before using a Memory Charm on them. There is no known counter-spell that will end the effects of an Imperius Curse. Only the original caster can lift the curse before it naturally expires. This is one of the three Unforgivable Curses, and is subject to the rules governing those spells. Creates an invisible barrier around a target object (usually a door) that is sound-proof and repels minor impacts (such as knocking or throwing small objects against the target). The barrier is not strong enough to resist impacts that could cause actual damage to a typical wooden door.